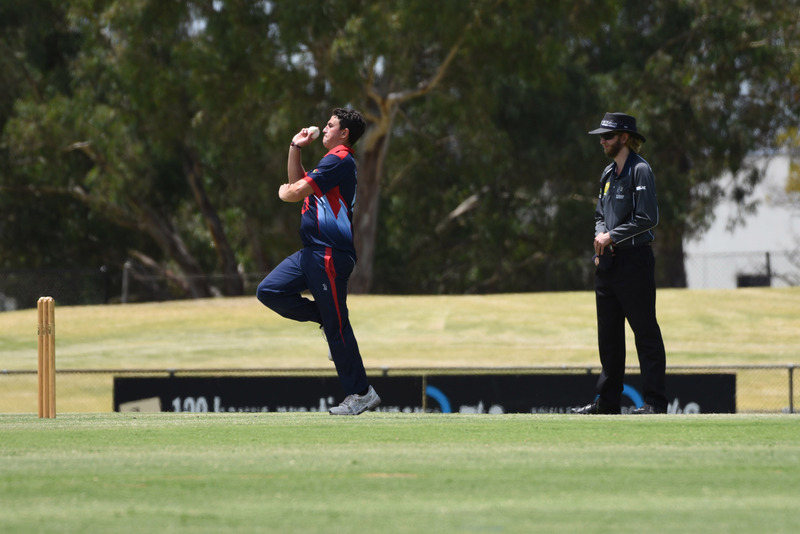 Dandenong were unable to reel in Carlton’s first innings total to fall to a potentially costly loss at Shepley Oval on Saturday. The reigning premiers went into the Christmas break inside the top eight, but will now need to force their way back in after the Blues handed them the shock loss. After BBL hopeful Brayden Stepien (64) once again excited to get the Blues off to a blistering start, the Panthers – courtesy of their skipper Tom Donnell (3/29), who took a rare star turn with the ball – managed to reel them in a dismiss them for 231 in the 50th over. Darren Pattinson (2/42) and James Nanopoulos (3/49) were also in the wickets for the home side as they continued on with their fine form. Despite Brett Forsyth (79) scoring yet another half century to take his tally to 642 at 71.3 for the year, the Panthers just couldn’t get a partnership together, with the Panthers rolled for 206 after a stunning spell of 5/45 to Blues quick Aaron Smillie proved too much to handle for the bottom order.